Thursday March 1, 2018: Anna saves the dance, guests arrive for Franco and Liz's wedding, Curtis is arrested, and Franco remembers the past. At GH, Julian breaks the news to Oscar and Kim that they can’t hold the dance at his pub due to a sewage problem. Oscar realizes he needs to tell the others that the dance is off. Elsewhere, Anna runs into Finn, and they chat about being given medals today for catching Cassandra. 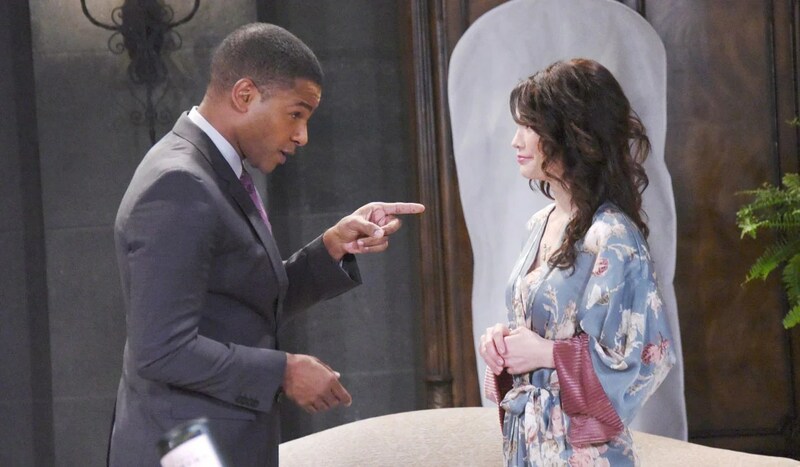 Anna tells him that Mac and Felicia want to throw them a party to celebrate, and he’s free to bring a date. Finn doesn’t feel the need to attend, unless she can think of a reason he should. Oscar bumps into Finn while walking and texting, and apologizes. He explains his dilemma to them, and Anna realizes she may be able to help him. Anna makes a call to Mac. 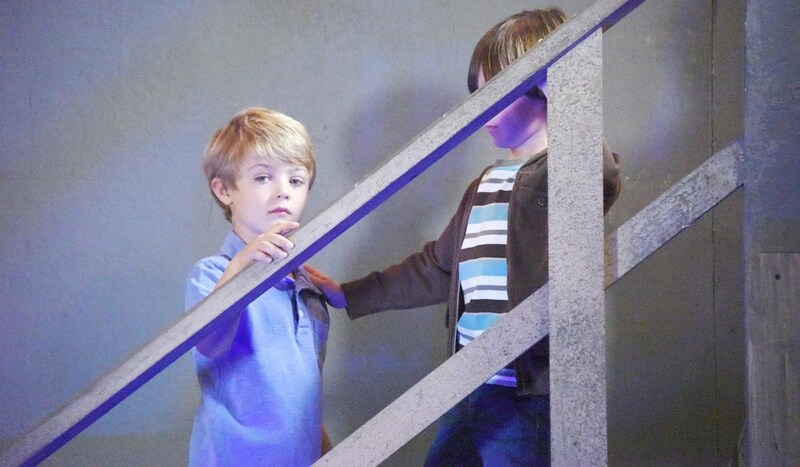 In the stairwell, Franco runs into Drew and has a flashback of someone yelling at him and Drew as kids to get down the steps. Franco collapses into tears and cries that he remembers. They are interrupted when Drew gets a call from Kim to talk about the dance. Drew asks Franco if he’s going to be okay. Franco responds, “We will be.” Drew leaves, and Franco remembers Andy falling down the stairs, and someone yelling, “Look what you did Bobby!” Back in the hospital, Drew checks in with Kim and learns the venue for the dance fell through, and comments that Julian always finds a way to let people down. Drew apologizes and explains he is in a bad mood after a run in with Franco. Drew fills Kim in on him and Franco being raised as brothers and asks Kim if he ever discussed his childhood. She says he never wanted to talk about his family or early years. Oscar rushes up and shares that they found a new venue. At the PCPD, Harvey wants Curtis arrested, and when Jordan fails to dissuade him from pressing charges, she’s forced to read Curtis his rights. Harvey leaves, and in the interrogation room, Curtis reveals to Jordan that those maps have nothing to do with constructing condos, and there is something in the ground Harvey is after. Later, Anna and Finn are given their medals in a private ceremony. Finn thanks her for saving him from having to attend Mac and Felicia’s party, and that the kids will make better use of the venue. Anna gets a call from Andre, and Finn overhears her making plans to meet him for their trip. When she realizes Finn overheard, she tries to explain, but he assures her that she owes him no explanation. Finn tells her to have a nice trip and leaves. Griffin, Ava and Scott arrive at the church for Franco’s wedding. Meanwhile, Epiphany, Kiki and Felix help Liz prepare for the wedding in the bride’s room. Kiki excuses herself to check on Franco, and Epiphany decides to tag along in case she’s needed. 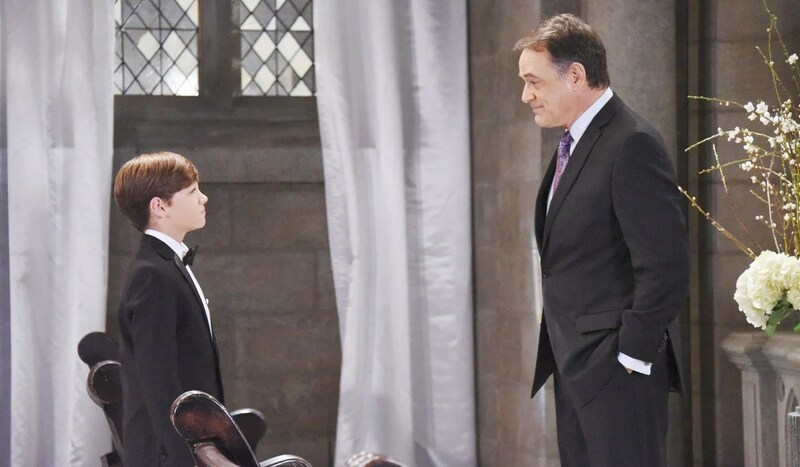 Back in the chapel, Cam asks Kevin if he has seen Franco, but Kevin hasn’t. Cam needs to have a chat with Franco to make sure he understands what a big deal this is, and that his mom deserves to be happy. Later, Kevin and Scott run into one another, and Scott tells him to leave Franco’s childhood buried and in the past because there is a reason Franco’s blocked out the memories. Epiphany interrupts them and asks if either have seen Franco. Cam goes to see his mom and tells her how happy he is that she now has someone to love her and put her first. Cam gets back to his brothers, and Liz tells Felix that she wishes Sabrina could be here. Back in the chapel, Kiki runs into her mom and Griffin. He assumes Kiki has heard the good news that Sonny is going to let Ava see Avery, and he notes that God works in mysterious ways. 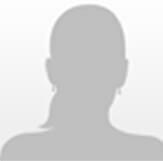 Griffin excuses himself to talk to some friends, and Kiki scolds her mother again for blackmailing Sonny into letting her see Avery. Epiphany returns to Liz’s room, where she’s ready to get into her dress. Epiphany breaks the news that Franco isn’t here. Jim returns to his construction trailer and finds Franco waiting for him. Franco tells Jim that he remembers the night Drew fell down the stairs and asks Jim what he recalls. Jim says he wasn’t there, but Franco remembers he was there and can see Jim yelling at him and saying, “Look what you did Bobby!” Franco demands Jim admit it. 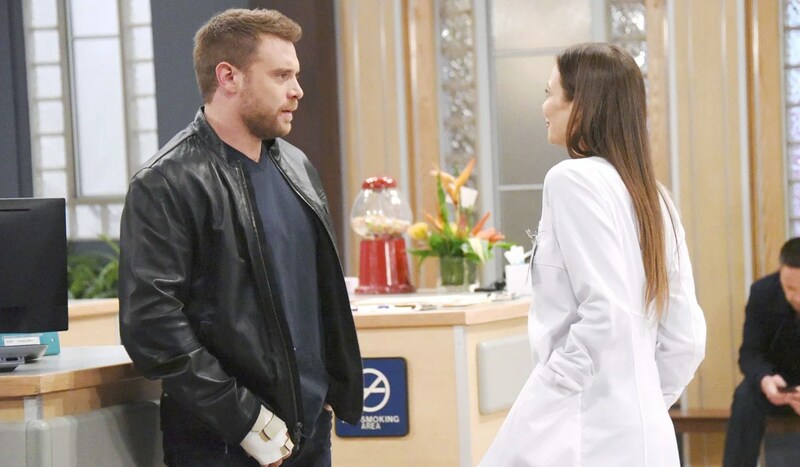 Back at the hospital, Oscar tells his mom, Julian and Drew about Anna getting the Floating Rib for them to use. Julian offers to help Oscar move the decorations from his place over to the Rib. Carly wonders what would happen to her if not for Jason. Lulu covers the kids’ dance for the paper. Peter asks Valentin if he knew his father was sick. In jail, Curtis tells Jordan they have to do something before it is too late. Franco demands Jim tell him what happened.